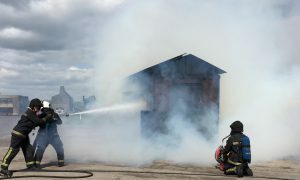 At Angus Fire we are dedicated to safeguarding and preserving your privacy when visiting our site or communicating electronically with us. Information about you that you give us by filling in forms on our website or by corresponding with us by phone, e-mail or otherwise. It includes information you provide when you register to use our site, subscribe to any of our services, search for a product, place an order for a product, participate in discussion boards or other social media functions on our website or LinkedIn site, enter a competition, promotion or survey, and when you report a problem with our site. The information you give us may include your name, address, e-mail address and phone number, financial and credit card information, personal description and photograph. The transmission of information via the internet is not completely secure and therefore we cannot guarantee the security of data sent to us electronically and transmission of such data is therefore entirely at your own risk. Once we have received your information, we will use strict procedures and security features to try to prevent unauthorised access. If Angus Fire or substantially all of its assets are acquired by a third party, in which case personal data held by it about its customers will be one of the transferred assets. The GDPR and Data Protection Act give you the right to access the information that we hold about you. Should you wish to receive details that we hold about you please contact us using the contact details below. Personal data information will be provided within 30 days of the request.